But what to do? 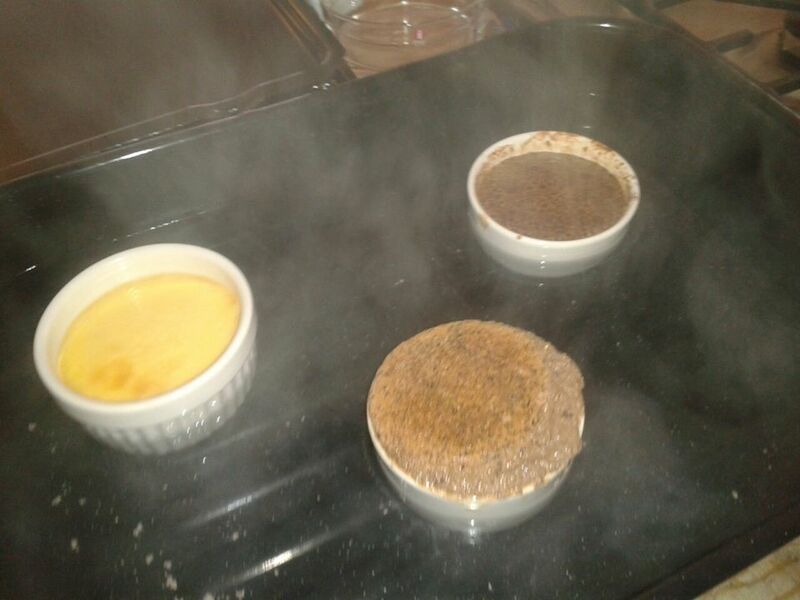 After the utter horror story that was the cat food episode, I figured I wanted something I really enjoy making: creme brulee! I reckon I can make a nice, fresh, minty version of this French classic. 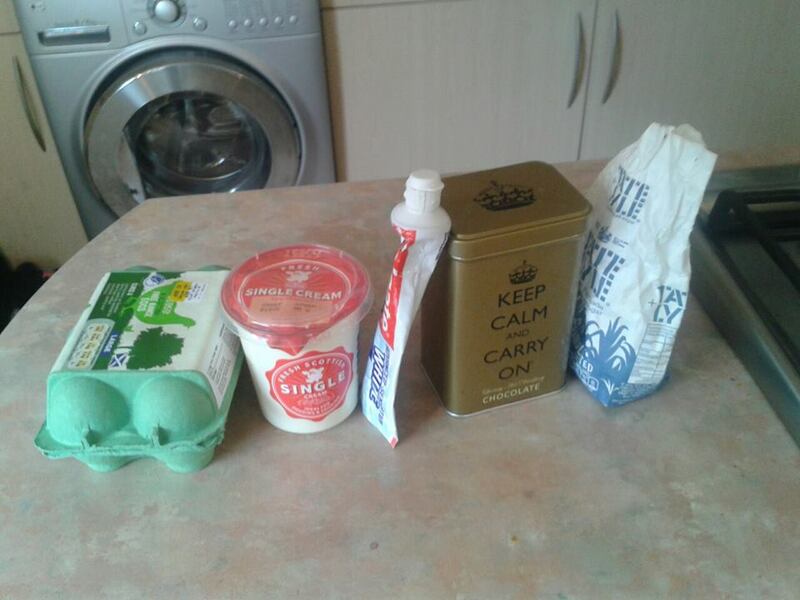 Lets start with the ingredients: I have cocoa, sugar, toothpaste, cream and eggs and I’ve slipped in the cocoa because I want to make a kind of After Eight brulee. 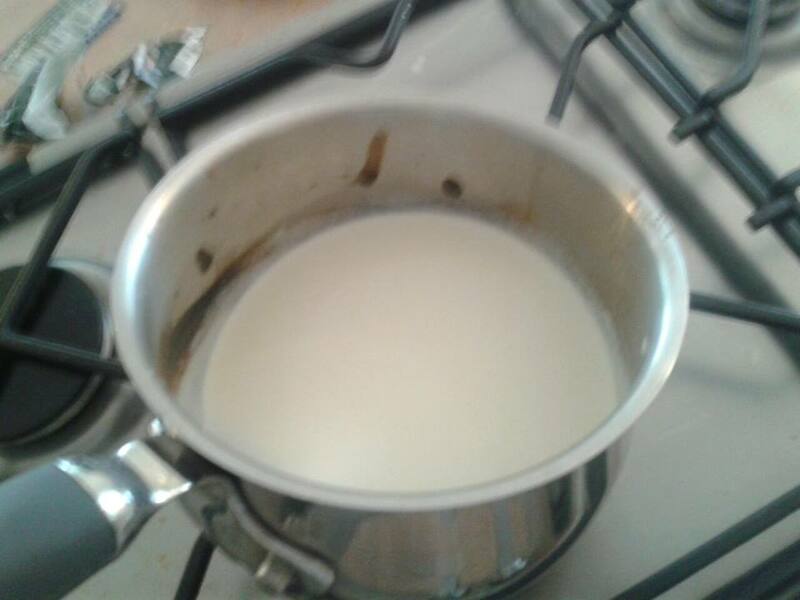 I start by making my fresh, minty, chocolatey base: After mixing with some hot water I have this: At this point I have a taste … it’s not what I expected…at all! It’s overwhelmingly minty and really gritty from the kind of toothpaste it is (it has micro cleansing crystals apparently). Oh deary me. 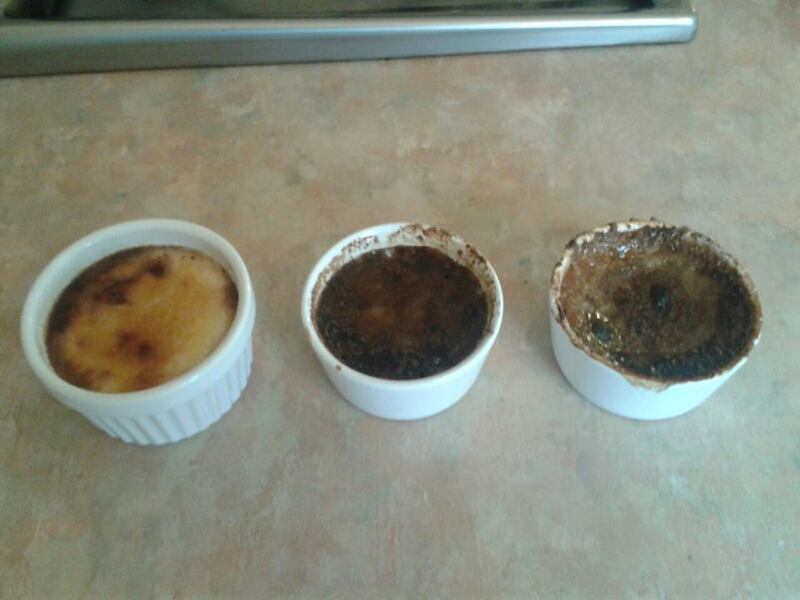 I march on and make my custard by mixing 3 egg yolks, 100g sugar and 1/2 liter single cream and heating to about 70C (finger test, just too hot) I’m going to make three versions of the brulee: 1 with no added extras, one with cocoa and one with cocoa and toothpaste. I’ll let you figure out which is which: I add the ramekins to a bain marie and place in my professional chef’s kitchen oven which have controls written by a far off alien race. Christ knows what’s going to happen next: After cooking at 150C (apparently) for 40 minutes I remove from the oven and OH NOES, look what’s happened! 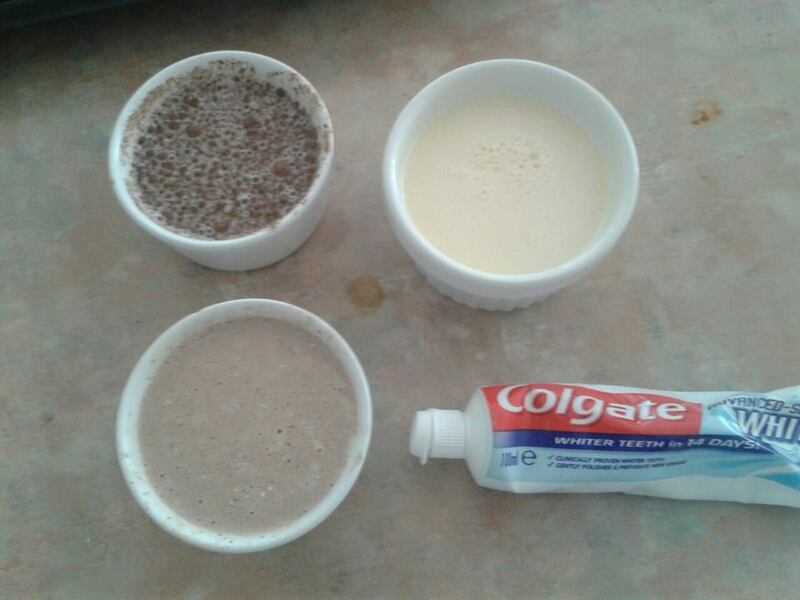 The plain one and the chocolate one are fine, but the toothpaste one has mysteriously risen! 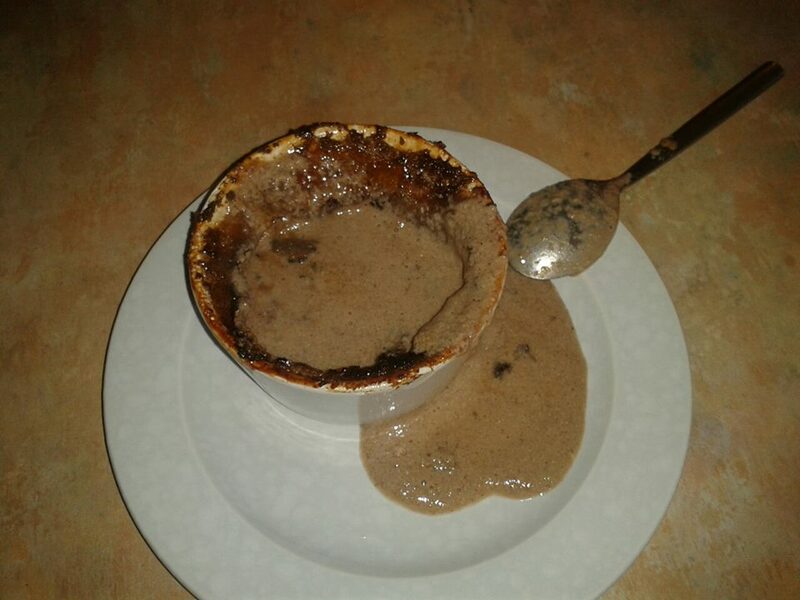 I’ve made a kind of creme brulee soufflee! I guess it must have been be the micro cleansing crystals in the toothpaste…. Despite this worrying development I soldier on and after chilling in the fridge till they have properly set I sprinkle over some sugar and place under a very hot grill for 4 minutes (blow torch missing). And here’s the result (left to right: plain, chocolate, toothpaste): So how do they taste? The unflavoured one is technically perfect; it has set wonderfully and the caramel top is delightfully crispy. I think the custard could do with a bit more milk and sugar to better soften the taste, but it’s decent. Pass. Onto the chocolate one. 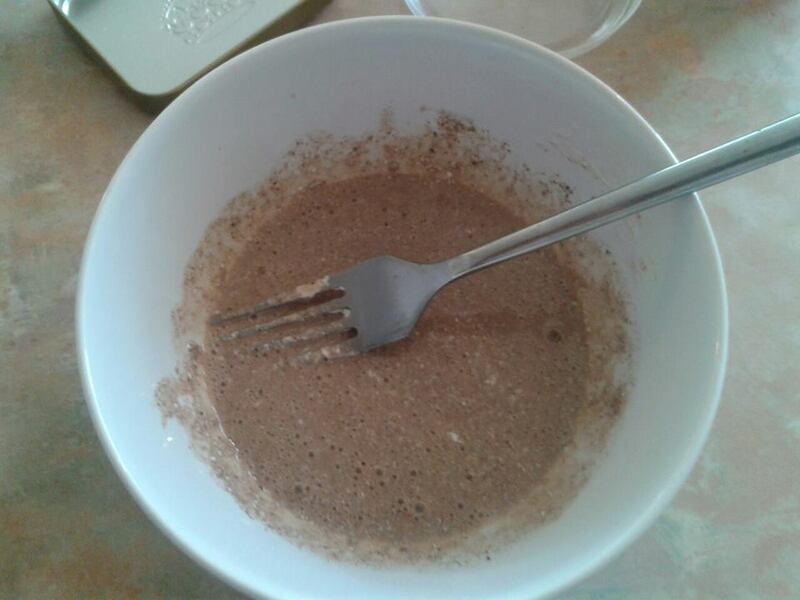 The addition of the cocoa has messed up the consistency so it hasn’t set properly and I don’t like the taste. Fail. Onto the toothpaste one: I’m struggling to find an analogy and the best I can come up with is that bit at the end of The Fly where Brundlefly gets combined with the telepod and forms some kind of indescribable horror who’s only wish is to be killed. This thing … it’s runny, granular, gloopy and the caramel crust is just plain weird and rubbery. It tastes like gritty eggy toothpaste. 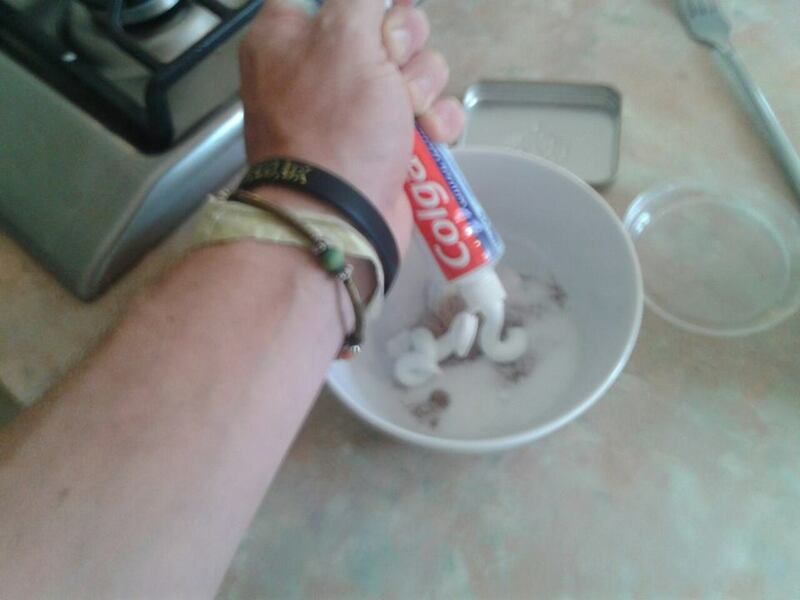 I doubt even if I had used the smallest amount of toothpaste would this have worked. So, EPIC failage. Mr Toothpaste will certainly not be visiting Mrs Kitchen any time soon! Toothpaste is not supposed to be eaten. You could ingest too much fluoride by swallowing toothpaste. So I’d advise your followers NOT to follow in your footsteps. Do they have humour on your planet? Yes, but they also have idiots that will try something without thinking and kill themselves, sadly. Fluoride is poisonous in quantity, hence the controversy about putting even a very small amount of it in the drinking water. 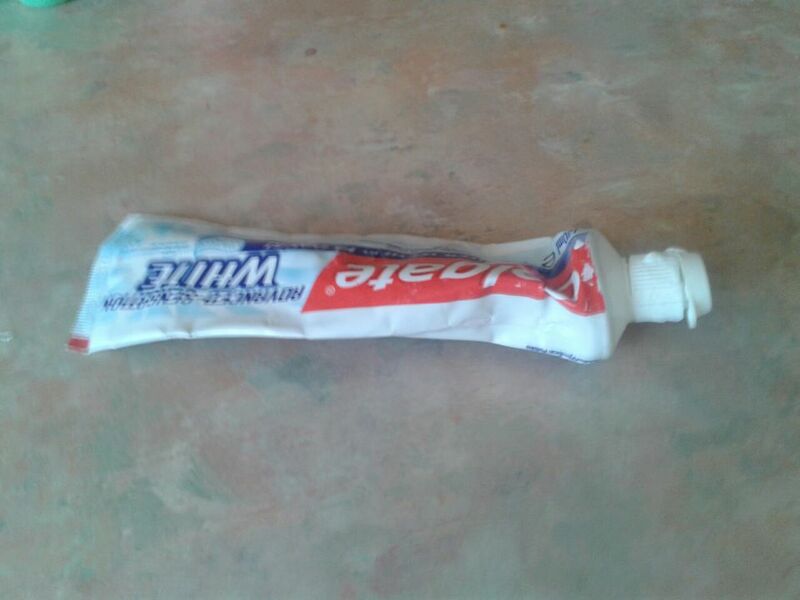 This is why you are always meant to spit out toothpaste. The idea is to let the fluoride chemically react with your teeth but not the rest of you. It is not beyond the realm of possibility that somebody could find a way to make something half palatable from some types of toothpaste but that would be a dangerous thing to do if they contain fluoride. A warning seems very well justified and I suggest that the author of the article should put a warning on the article itself for the benefit of those who don’t read the comments. Well done! I’ve been snacking on toothpaste for years, but never thought to make it the centerpiece of any new recipes. I half suspect the cause of all the bubbling up has to do with the detergents they add to the paste that are specifically designed to make the toothpaste foam up. Can’t wait to see what you do next! 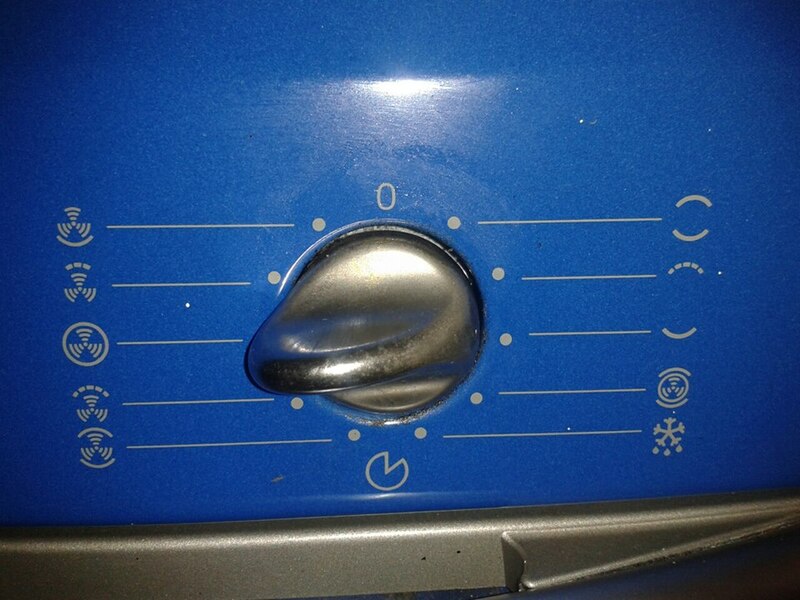 Your oven was labelled by Pacman! “Colgate Advanced White” contains sodium bicarbonate. It’s reacted with an acidic ingredient – lactic acid in the cream maybe? – giving off carbon dioxide bubbles which is why the dish souffleed..
A nice fluffy Toothpaste icecream could be viable? Now I reckon toothpaste ice cream would be a goer. Sodium bicarbonate is used in baking as a raising agent. Should have used a cheaper less poncy tooth paste OR bake a minty fresh cake.